How about a t-shirt with some colors and an animal? 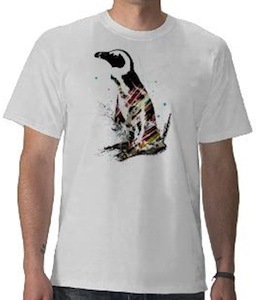 This penguin t-shirt has both it has a nice penguin and on top of that there is some color flares and that makes the penguin looks a bit different but oh so fun. You can get this t-shirt in different styles and sizes for the whole family. Come see this Light Penguin T-Shirt.